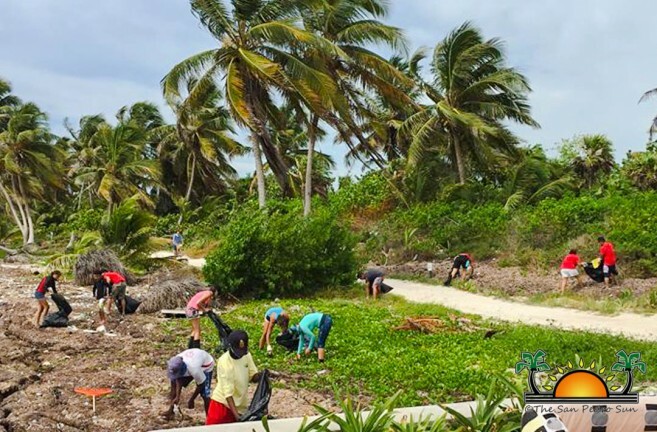 As part of the Hol Chan Marine Reserve Reef Week 2018, a massive coastal clean-up was held around San Pedro Town on Saturday, May 12th. 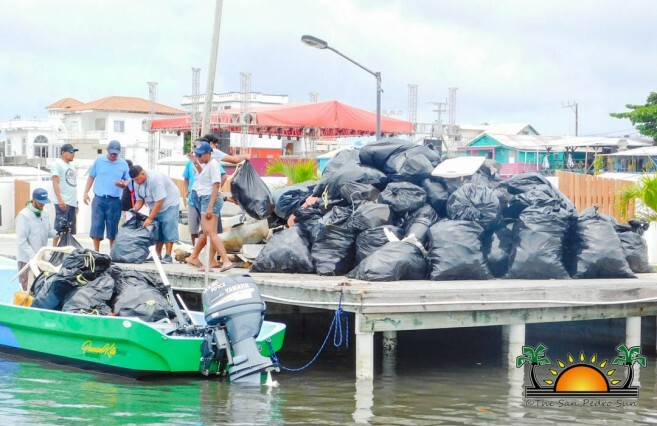 The clean-up served as a way to continue raising awareness about keeping the environment clean, as well as to send a message to stop the use of non-biodegradable products. 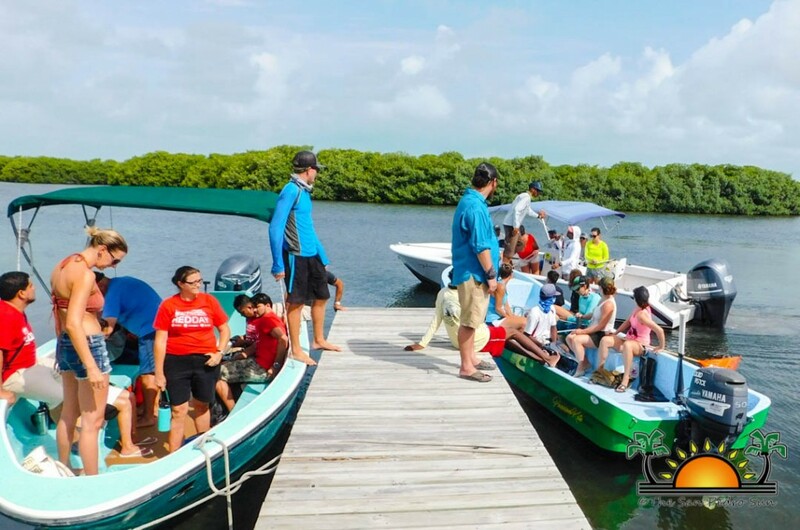 At 8AM a large crowd of residents gathered at the Hol Chan Marine Reserve Dock located at the end of Caribena Street. Before the clean-up began, organizer of Reef Week 2018 activities Mariela Archer shared a few words with the present crowd. “I want to thank everyone who came out today to be a part of this activity. It is very important for us to protect our environment and marine life, as we all depend on it some way or the other,” she said. 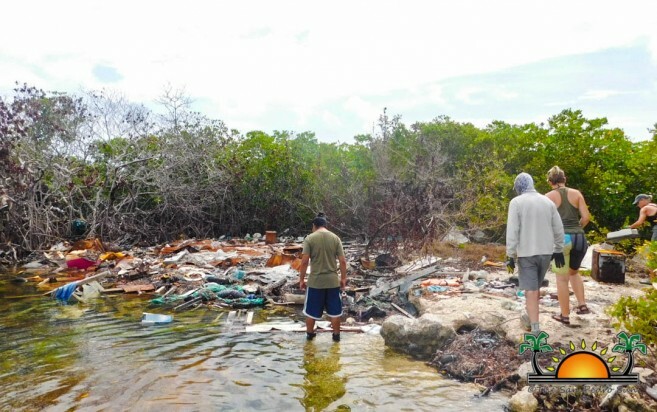 Thereafter, the coastal clean-up began with participants separating into groups and tackling different areas of the island. Some headed to the north side of the island and began cleaning the beach side, while others decided to tackle the lagoon. 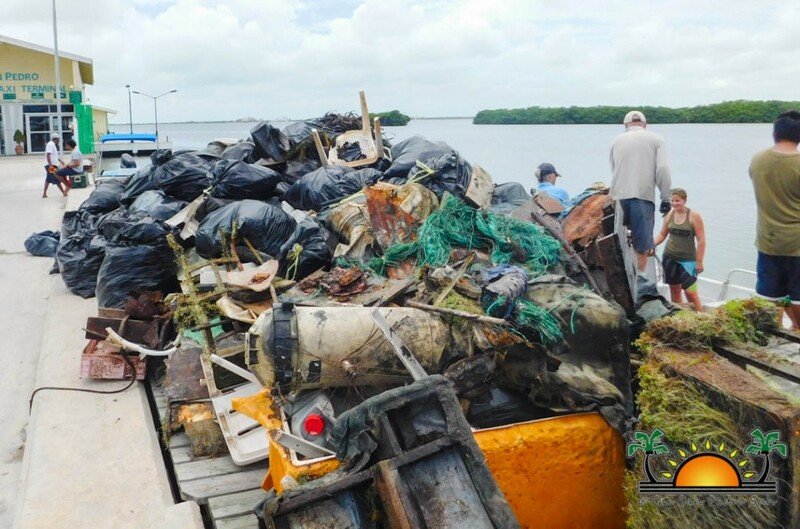 After each team had filled their boats with garbage, they headed to the Sunset Boardwalk dock to drop it off the garbage. The garbage collected included Styrofoam products, barrels, plastic bottles and bags, broken computers, old sofa chairs, rusty irons, tires, pipes, and wood. 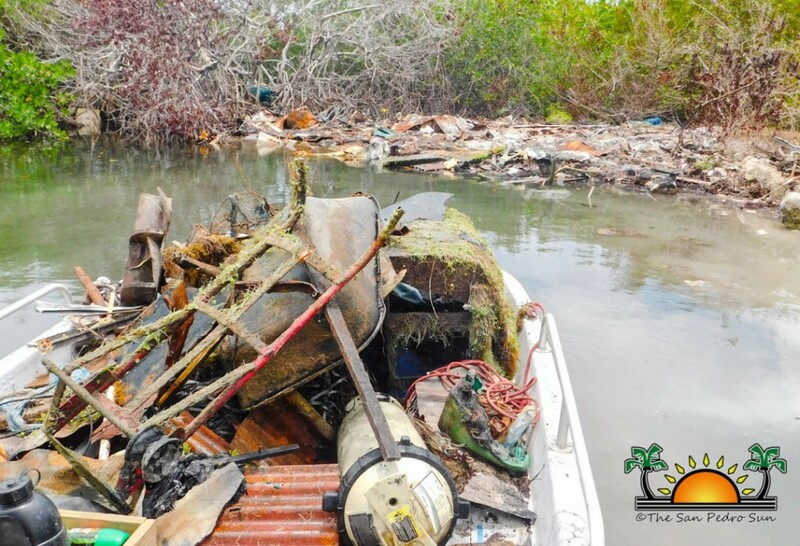 By midday, the teams had dropped off more than 80 bags of garbage removed from the seashores and mangrove roots in the lagoon. 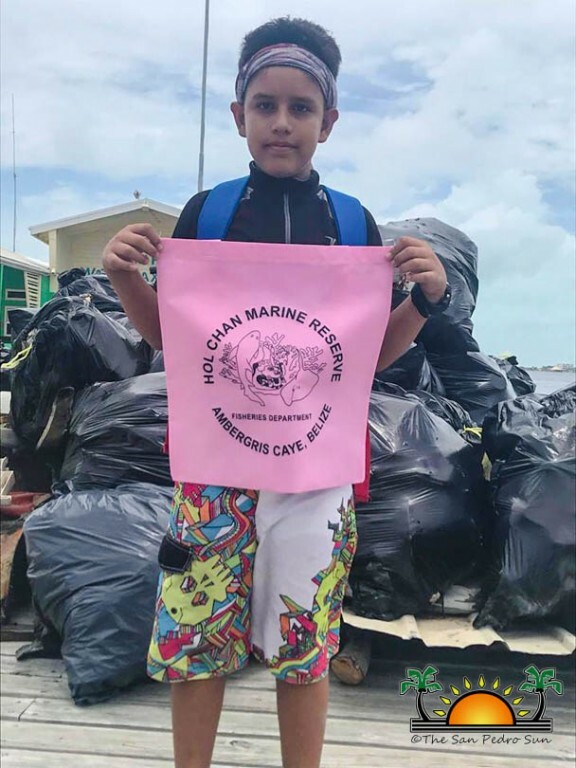 After the clean-up, in a way to show support towards the decision that Government of Belize made to ban the single-use plastic bags, Styrofoam products, and plastic food utensils in the country by April 22, 2019, Hol Chan provided participants with reusable shopping bags. 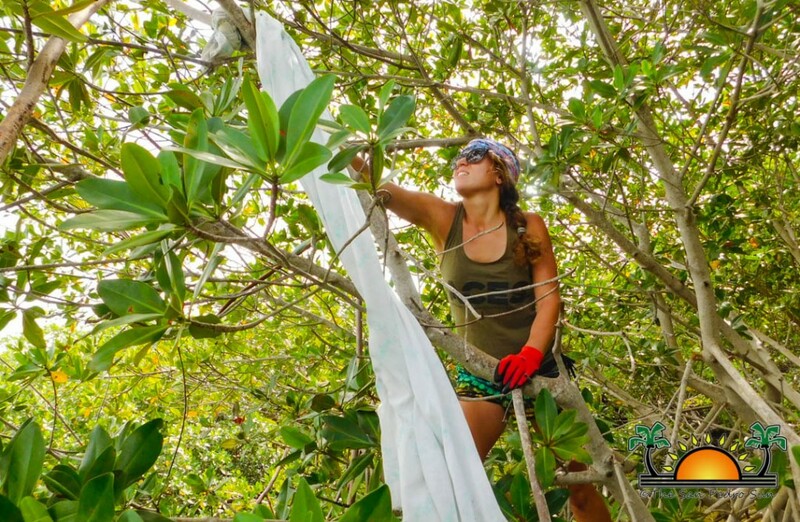 “This is a start towards eliminating the use of plastic bags, to stop asking for or accepting them, as they are harmful to our environment,” said Archer. 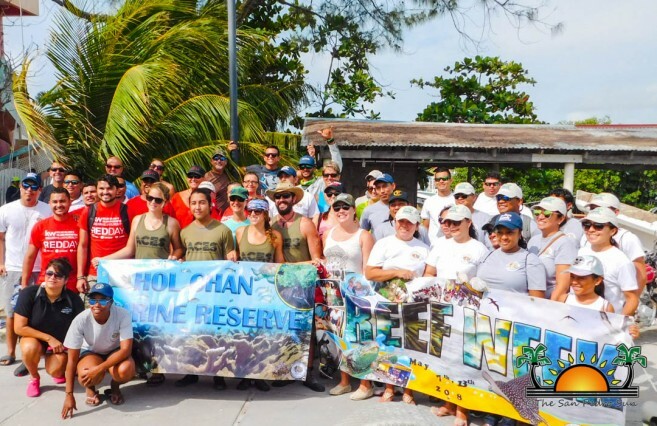 Hol Chan Marine Reserve would like to thank everyone who participated in all the activities that took place throughout Reef Week 2018 and made it another success! Special thanks goes out to the sponsors, including the Belize Tourism Board, Belize Bank, Atlantic Bank, Tropic Air, Caribena Enterprises, Coca-Cola, Crystal Water, San Pedro Town Council, Castillo’s Hardware, Captain Shark’s Marine Center, Ministry of Education, Belize Fisheries Department, Ricklee Response & Rescue, and St. Francis Xavier Credit Union. Welcome Miss Costa Maya Internacional 2008-2009! !